From Sonora, Mexico - where at dawn, Devin and Childs surf the sands with childlike eyes and hearts of poets, and Devin recites Charles Bukowski. 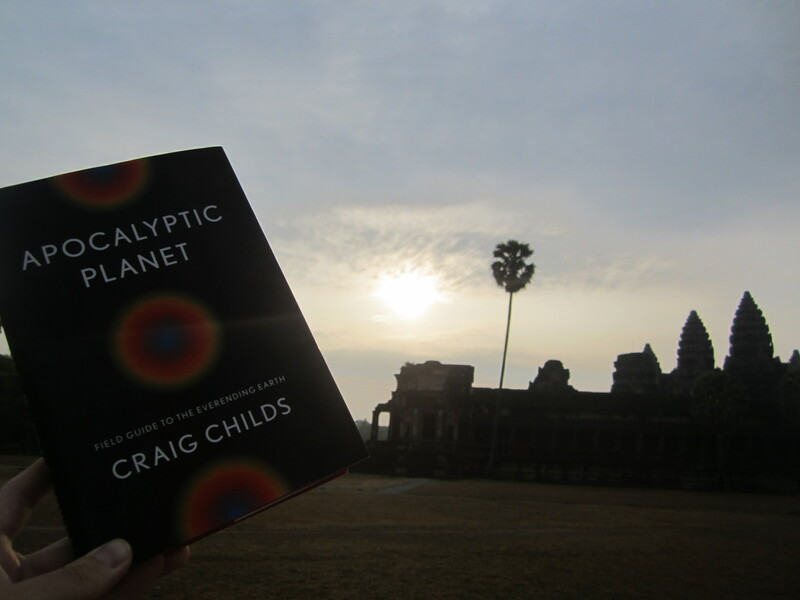 Apocalyptic Planet (2012) by Craig Childs is an ambitious work, spanning several continents and billions of years, and the author maintains an energetic tone that not only beckons the reader into the most mysterious places on Earth, but also warns to the cataclysms that may befall our precious world. 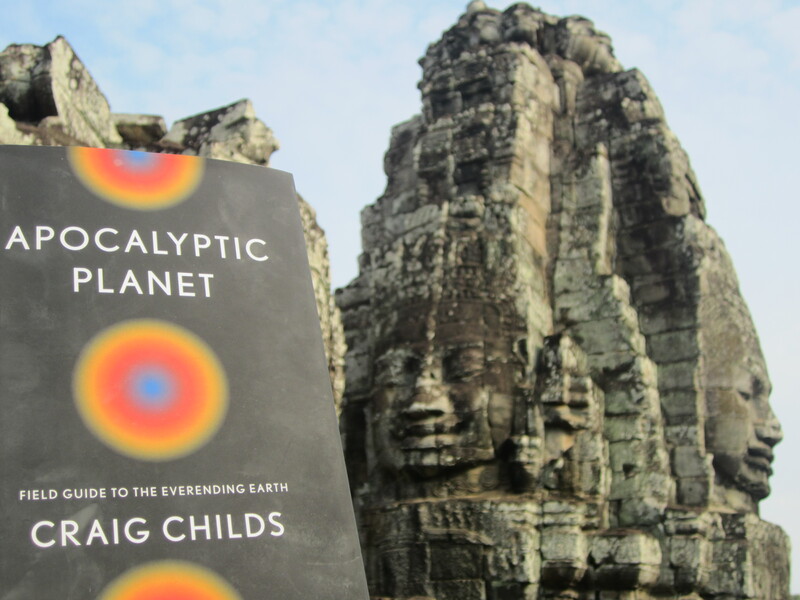 Part travel log and part science guidebook, Apocalyptic Planet is filled with wit, humor, and fascinating facts about the Earth as a living organism and a place filled with various landscapes of desolation. and onward, dear traveler, for the Earth is alive and dangerous and beautiful, ever-changing, on to Greenland and the great ice cap where the sage Koni, otherwise known as Konrad Steffen, who explains in response to Global Warming, “If we’ve done anything, we’ve stopped the next glacial period from happening by warming the earth” (p 165). Childs, a true explorer in every sense of the word, also treks through vast cornfields in Iowa where “leaves as long as a person’s arm draped across one another…and the corn was one kind of green, a sun-shot parrot-feather lime magnifying daylight all the way to the ground” (p 185). One remarkable aspect of this book is Childs’s ability to describe and explain key details of nature and science in such a far cry from all those other boring non-fiction books as dry as the deserts Childs visits. He keeps the adventure and science fresh and relatable. A breath of fresh air for any reader. But there are warnings along the way. Childs writes, “Most scientist agree that the earth is experiencing such a bottleneck once again. We are either swiftly approaching or well into the sixth mass extinction in earth’s history” (p197-198). By the end of the book, the author has survived several perilous journeys across the face of this wonderful world, some trips never to be taken by any average reader, and reports the various stages of the world’s development and human species along the way. The last chapter’s locale is the Atacama Desert, Chile where the salt field and mirages shine as if “stranded in a silver ocean” (p 314). But what I love most is how much fun Childs makes travel-science (or, “in the field work”) to truly be, as if my inner instincts to reach out and lick the earth, as Childs does as one point, have been asleep for far too long and must be stirred to seek out what unfolds all around us every single day, and to treasure such places and times. Childs writes, “The earth is a seed planting itself over and over. We are not the gardeners… What we do now, from the inside, determines the vigor of that seed, how long it might live and plant itself again” (p 324). “We were in town for a resupply. Load up water, hire a ride, jump back into the desert. We talked about options, thinking a second night in town might be nice, return to the bonfire for pisco sours, maybe a good Argentine steak beforehand, something to fatten us before the next excursion. Or maybe we’d stay a few nights, or maybe we’d never get out of here, drinking and burning things until we grew donkey ears and had to stay forever” (p 326). 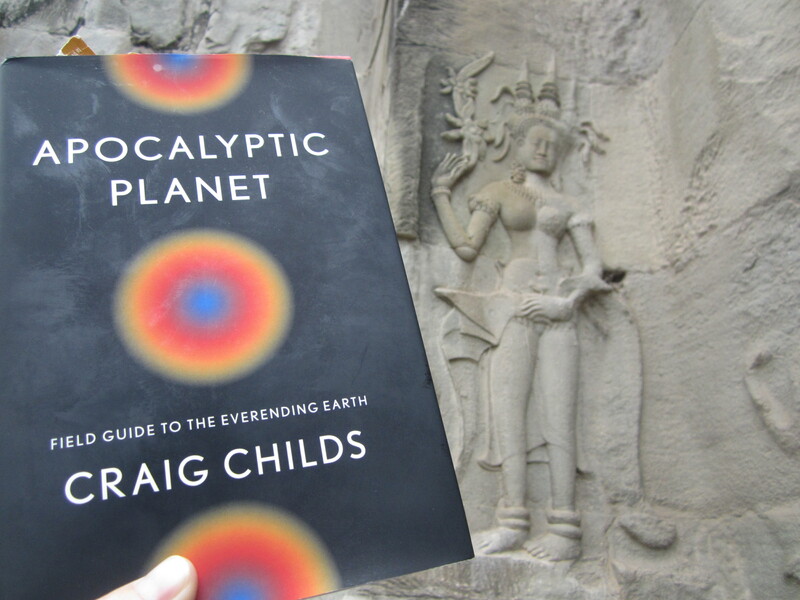 For any reader, in high school or above, Apocalyptic Planet presents the problems of Global Warming and “the end of the world” in such a clear and profound manner that it is hard for the reader not to get sucked in to Craig Childs’s love and admiration for the world around us. A strong recommend for those who enjoy strong, vivid settings and adventure that never grow stale and for those who desire the truth about what is actually happening to our planet. a totally different topic but it has pretty much the same layout and design.